It is time for the Pros and Cons of hotel loyalty programs based on the developments in 2015. I covered Le Club AccorHotels for the very first time year ago. I had few stays back in 2014 due to very lucrative airline related offers and then again in 2015 due to several 10K bonus ones. I had roughly 30 nights with Accor affiliated hotels last year. You can access Le Club AccorHotels web page for benefits here. Please leave your personal comments about the Le Club AccorHotels programs below. What do you like and what do you dislike? Accor is especially strong in France and Europe representing 61% of the groups number of properties. Asia Pacific represents roughly quarter of the properties under the Accor’s umbrella. Sofitel, Pullman and MGallery brands represent less than 10% of the total number of hotels Accor has. Some may prefer that Accor doesn’t sell points to credit card partners. Accor tend to have Super Sales several times year + up to 40% off Private Sales in between. You can purchase Accor Plus membership that gives you an additional 10% off of most rates in the Asia Pacific. Le Club AccorHotels has weekly sales for UK (Happy Mondays), Private Sales for Europe (on Tuesdays) and Asia-Pacific (mainly Australasia on Fridays). Certain American Express cardholders in some markets are eligible for instant Platinum status with Le Club Accorhotels. Accor is in the process of ending this in the Spring of 2016. The number of nights and/or points required for Gold and Platinum status may initially look very high, but you can get Platinum status in just four or five stays if you time your stays with good airline related promotions. You can earn points much faster by taking advantage of Le Club AccorHotels promotions. Accor has so many on-going promotions for discounts, bonus miles and points that it is difficult to track them all (I am trying to do my very best here on LoyaltyLobby). You can usually convert Le Club AccorHotels points to miles with 2 points to 1 airline miles ratio. Le Club AccorHotels members are sometimes eligible for discounts based on the elite level they have with the chain. You convert your Le Club AccorHotels points to EUR vouchers or use them online to guarantee your rooms. 2,000 points are worth 40 euros. The chain has roughly 10 properties combined in the United States and Canada. Accor is in the process of acquiring Fine Hotels & Resorts that consists of Fairmont, Swissotel and Raffles brands. Fairmont brand would give good presence in Canada. Sofitel, MGallery and Pullman properties are considered the high end of Accor and there are fewer than 300 of them worldwide. Some prefer earning points towards free nights by charging their credit cards. This is not possible with Accor. Many hotels are manually inputting member stays to the Le Club AccorHotels system and this is prone to mistakes and missing reported stays. I have had better luck getting stays to post from limited service than full service hotels. Le Club AccorHotels advertises that you can use your points towards rates found on Accor’s website, but that is not always the case. You cannot use points towards the mist discounted rates. This is not just a problem with Accor, but will all hotel chains. There is usually great variability within the brands. Le Club AccorHotels can earn anywhere from 5 to 44 points per 10 euros charged depending on their status and brand stayed at. As a matter of fact there are 16 different levels altogether. Obviously lower end properties don’t have too many options for upgrades, but you often must negotiate with higher end brands as well. Accor has a best rate guarantee that promises to match the lower price and to take an extra 10% off. The implementation of this program is terrible, however. Accor merely forwards the price match requests to individual properties that are then supposed to process and handle them. Sometimes the do and sometimes they don’t. Accor’s promotions often require you to book within certain dates and sometimes also require you to book a specific rate. Sometimes promotions are retired without any word from Accor. Many of the Accor hotels are excluded from earning points. You cannot earn points at any ibis hotels in China and ibis budget hotels are excluded worldwide. Le Club AccorHotels doesn’t offer status match, but you can easily get the Platinum status in few stays during the airline related promotions. The communication from Accor regarding these promotions that they decide to end without any notice to membership is bizarre. It is very difficult to trust company that can cancel promos at their whim. As you use vouchers to pay for your stay, you need lots of spend to get enough vouchers for a free night stay at the top end properties. Le Club AccorHotels elite members have very few HARD guarantees. Most are based on the availability and/or at the discretion of the hotel in question. Many hotels cheat and use their cash conversion rate when applying Accor voucher to your folio. You can lose anywhere from 5% to 20% of their value. This really is the Achilles heel of Le Club AccorHotels. The customer service is not up to the same level compared to SPG, Marriott, Hilton or even IHG. Many of the Accor’s competitors offer lifetime status to those that have spent considerable time of their lives or cash at their properties. I am not aware of that Accor would be offering anything similar. Accor and Le Club AccorHotels have both come long way in the past few years trying to beef up the loyalty program and making it more worthwhile for the members. 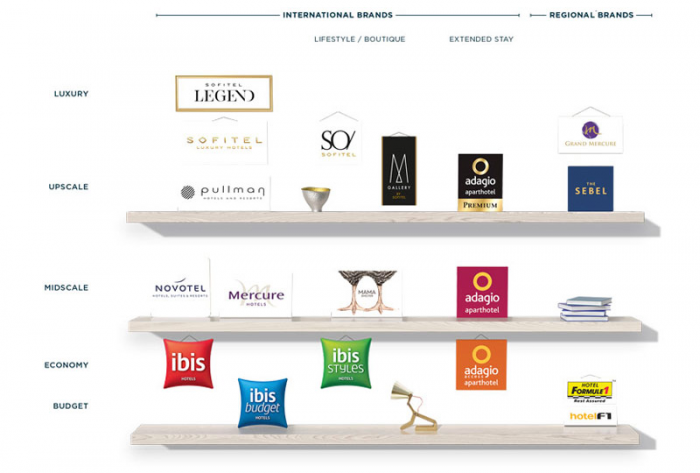 It is interesting to see how they will merge the Fairmont, Swissotel and Raffles brands to the Le Club AccorHotels (and what happens with my lifetime Fairmont Presidents’ Club membership). I just wish that they would fix the customer service issues. None of us contact the CS unless there is an issue and would then prefer to have prompt and correct resolution. I would also prefer early check in and late check outs to be guaranteed and not based on availability. Let’s hope that they continue with the good promotions this year. The most lucrative airline promos were gone in 2015, but we have number of bonus points promotions to compensate. Next articleNew Bomb Attacks In Ankara – How Safe Is Travel To Turkey These Days?